Elbit Systems, based in Haifa, is Israel’s largest privately-owned arms and ‘security’ company. Written to support the Boycott, Divestment and Sanctions movement, this company profile looks in detail at how Elbit’s weapons have been used in Palestine and around the world, the shareholders and people at the top of the company and the resistance to its activities. Elbit provides up to 85% of the land-based equipment procured by the Israeli militaryii and about 85% of it’s dronesiii but it is also a company with international reach – 80% of its market is outside Israel.iv The company has military contracts with governments in the US, UK and Europe, Africa, Asia and South America. It manufactures most of its equipment in Israel, the US, Europe and Brazil. The use of drone technology has changed the nature of modern warfare, enabling governments to launch attacks without any need for boots on the ground or a declaration of war. Accordingly, drones provided by Elbit and other companies have been used by the Israeli military to carry out assassinations in Sudan and Egypt at times when Israel was not officially ‘at war’ with those countries. They have also been used to spy on people in Iraq, Iran and Lebanon (see below). Elbit’s 7.5 Skylark mini-UAV, operational in the Israeli Army since 2008, was heavily used for support of ground military actions in Israel’s 2014 attack on Gaza, Operation Protective Edge, which killed 2,202 Palestinians. The Hermes 450s and 900s were also used throughout this attack. Elbit’s purchase of IMI and the massacres of Palestinian protesters. Last year, Israel’s antitrust regulators approved Elbit’s purchase of IMI Systems, the sole supplier of small calibre ammunition to the Israeli military. The sale has now gone through. Since March 2018, protesters in Gaza have been holding demonstrations at the apartheid wall separating them from Israel under the banner of the “Great March of Return”. Israeli troops routinely open fire with live ammunition. At the time of writing over 183 people have been killed, and over 10,391 people injuredxxxv while attending the protests. In June 2018, Corporate Occupation researchers found an IMI Systems bullet at the Nahal Oz military base close to where soldiers were firing at the March of Return protests. Elbit is currently involved in the Israeli Ministry of Defence’s project to construct an extra hi-tech barrier around the Gaza Strip, fortifying the current barrier that besieges Gazans. Elbit’s products also includexxxvii armed remote control boats, capable of launching torpedoes.xxxviii Palestinian fishermen have told Corporate Occupation researchers that they have been attacked by similar unpiloted boats off the shores of Gaza. Elbit’s unpiloted boats were showcasedxxxix at the Singapore airshow in 2016 and have been deployed in NATO training exercises in 2018.xl GRSE, a company owned by the Indian state, is partneringxli with Elbit on an Unmanned Surface Vehicle project. 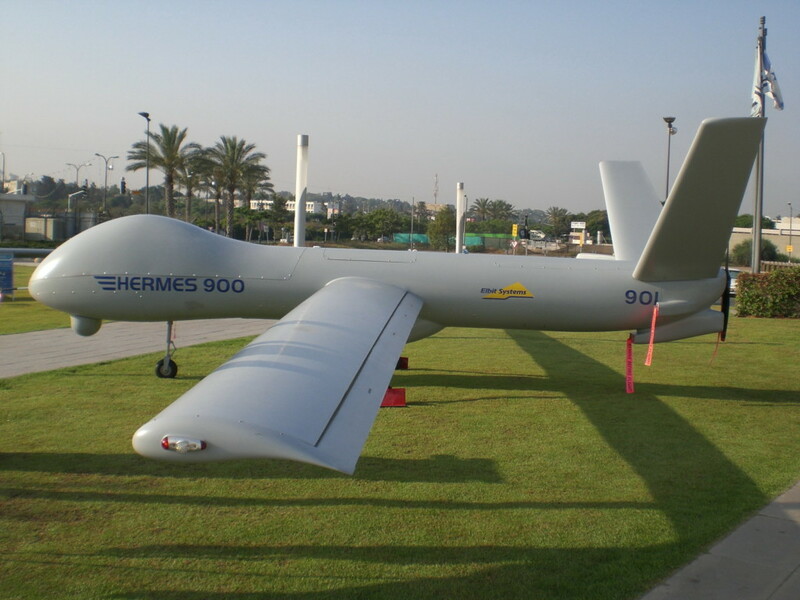 Elbit’s Hermes 450 drones were used intensively during Israel’s 2006 attack on Lebanon. In 2018, Elbit showcased a version of the Hermes 900 drone designed to fly in civilian airspace, alongside civilian planes. “Some customers would like to use the system to gather intelligence,” Elbit CEO Bezhalel Machlis said. “Another example can be for homeland security applications, to fly above an area and make sure it is monitored against terrorist activities.” Press reports at the time of writing say that “Elbit expects to receive approval from the European Aviation Safety Agency (EASA) for its own product in the coming months.”lviii Of course, this may well be PR spin. If true, it would mean that drones developed besieging and attacking Gaza might become used routinely on a global scale by states spying on their own populations. In 2005, the UK announced that it would buy new drones based on the Hermes 450 design. As a result, Elbit formed the U-TacS partnership (of which it owns a 51% stake) with French company Thales to supply 54 Watchkeeper drones to the Ministry of Defence. Although, on the face of it, the Watchkeeper is a reconnaissance drone, it has been displayed in several arms fairs bearing missiles. There is no evidence, however, that the UK has deployed it armed. Engines for the Watchkeeper are being produced at Elbit’s UAV engines factory in Shenstone, Staffordshire. British soldiers have travelled to Israel to undergo training as part of the Watchkeeper programme. 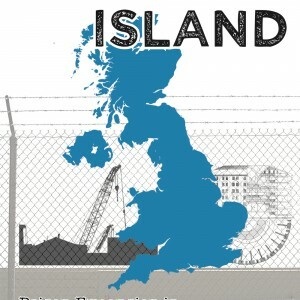 Testing is carried out from ParcAberporth in West Wales and Boscombe Down in Wiltshire.lxii However, during the winter of 2015, the MOD moved the Watchkeeper programme to the mid-Atlantic British colony of Ascension, citing better weather.lxiii Avoiding public scrutiny may also have played a part. A Watchkeeper drone was first deployed in Afghanistan in 2014. But the deployment was more a sales pitch for U-TacS than of any operational benefit. The French military, potential buyers of the Watchkeeper, were invited to watch the flight from Camp Bastion, and the drone has since been advertised as combat-proven. The Watchkeeper is also now a little outdated, as it requires the operator to be relatively close by, compared to the US’ Predator and Reaper drones. In 2018, a Watchkeeper crashed in Ceredigon, West Wales, the fifth drone so far to have crashed. Local residents are concerned over safety and almost £30m has been wasted.lxvi The Watchkeeper programme, in a surprise Israeli contribution to the UK anti-war movement, has cost the Ministry of Defence (MOD) more than £1bn over the last 12 years but has translated to only 146 hours of use on operations. All of this has not been a particularly good advert for U-TacS and Elbit. However, this doesn’t seem to have stopped Elbit from starting fresh partnerships in the UK aimed at getting more MoD contracts. The MoD’s repeated deals with Elbit are a direct support to Israel’s military industrial complex. Ferranti, one of Elbit’s UK subsidiaries, is running a PR campaign in Oldham. They are participating at events in Oldham’s Mahdio Centre, where students are encouraged to spend time talking to the company about “careers”. Ferranti’s website boasts that they gave out free “stress balls and sweeties”. In 2014, Armasuisse, the Swiss military procurement agency, awarded Elbit a $280m contract for Hermes 900 drones. This came after Israel’s 2012 bombardment of Gaza, where more people were killed by drones than by any other weapon. The delivery contract extends over 5 years until 2020.lxxxvii Swiss drones had previously been provided by Elbit’s rival, IAI. This situation appears to have changed since the 2016 removal of Workers Party president Dilma Rousseff In 2017 Elbit’s Brazilian subsidiary, Ares, signed a new contract to provide remotely controlled weapons systems to Brazil’s armed forces. In 2017, according to Electronic Intifada, Elbit had received almost $6 million in European taxpayer money as part of Horizon 2020 and other EU research funding streams. Campaigners have pointed out that these grants are being made despite the fact that Elbit does not ensure that its weapons are not used with cluster munitions, something the EU is now obliged to do under the 2008 Convention on Cluster Munitions. In 2013-14 Elbit was involved in talks with The European Border and Coast Guard Agency, then known as Frontex, about how its Hermes 900 drones can be used for surveillance of migrants.xcv Frontex, however, now appears to be favouring Elbit’s competitors, Israeli Aerospace Industries and Leonardo. Revenues/profits: In 2017 the company reported revenues of $3.37bn and a net income of $239m.xcix To see the latest annual report click here.c The company has increased its revenues over the last ten years. During that period, the Israeli army has used their equipment in three major attacks on Gaza. US subsidiaries: Elbit Systems of America, Merrimack Operations (Kollsman Inc), EFW, KMC Systems, Fort Worth Operations, International Enterprises, Talladega Operations (IEI), Mclean Operations (ICI), San Antonio Operations (M7), M7 Aerospace, Real Time Laboratories, Boca Raton Operations, VSI and RCEVS. ESA’s subsidiary KMC is involved in the manufacture of medical instruments used by healthcare providers, and ESA is involved in manufacturing communications equipment for police and emergency services. View on Campaign Against the Arms Trade’s interactive map. Instro are in the process of moving to a new premises. The new address will be Discovery Park Site North East, Ramsgate Road, Sandwich, CT13 9ND. It is anticipated that this address will eventually replace the Broadstairs address. Advanced Technology Center, POB 539, Haifa 31053, Israel. Two UK High Street banks, HSBC and Barclays, have historically been listed as shareholders in Elbit. Both banks own shares on behalf of their clients through stockbroker services which facilitate the buying and selling of shares. While the decision to buy or sell the shares remains with the banks’ clients, banks could take the ethical stance of excluding Elbit and other arms companies from their platforms. HSBC announced that it had divested from Elbit in late 2018 (see below). A full list of Elbit’s investors can be found here. Since the Palestinian civil society call for boycott, divestment and sanctions was made in 2005, there has been a divestment campaign against Elbit. The Norwegian state pension fund, leading Danish bank Danske Bank, Dutch pension giant ABP, the Swedish AP pension fund and Folksam have all divested their shares.cxxxviii Investment experts have told campaigners that Elbit now appears on most blacklists prepared by ‘socially responsible’ investment research companies. Barclays is the only European high street bank to appear on the list of institutional shareholders investing in Elbit published by NASDAQ.com. This suggests that most European banks believe that the company’s role in Israeli war crimes make it an inappropriate investment. In 2011 a Palestinian civil society call demanded a two way embargo on arms sales to and from the Israeli state and Israeli companies.cxxxix Anti-militarist campaigners have targeted Elbit in line with this call and launched campaigns calling for investors to divest their shares from the company. The campaign has gathered momentum since the Israeli attacks on Gaza in 2014. During the attack, activists occupied the roof of Elbit’s UK subsidiary in Shenstone, closing the factory for 48 hours. A similar occupation was held in Australia.cxl Demonstrations continue to be held at Elbit’s factory in Shenstone. 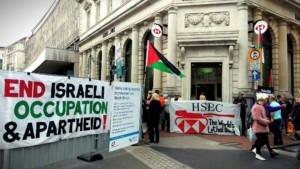 “HSBC has taken a positive first step in divesting from Elbit Systems, the notorious manufacturer of drones, chemical weapons, cluster bomb artillery systems, and other technology used in attacks against Palestinian civilians, and to militarise walls and borders around the world. Doing business with companies like Elbit means profiting from violence and human rights violation, which is both immoral and a contravention of international law. 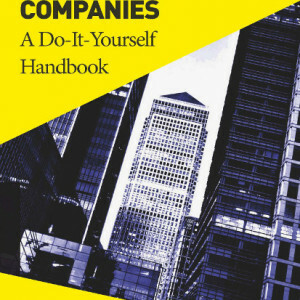 “However, HSBC continues to do business with over a dozen companies selling military equipment and technology used in human rights violation, including Caterpillar, whose bulldozers are used in demolition of Palestinian homes and properties, and BAE Systems, whose weapons are used in war crimes by Israel, Saudi Arabia, and other repressive regimes. 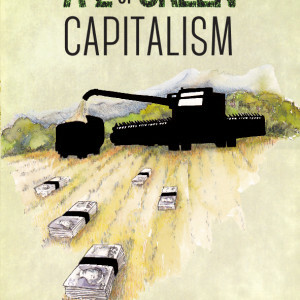 Until it ends its support for companies arming repression, the campaign will continue!”. The bi-annual DSEI arms fair held in London, where Elbit is a regular exhibitor, meets with resistance currently organised by the Stop the Arms Fair coalition. 2017 saw the biggest mobilisation for many years, with thousands of people attempting to block the weapons exhibitors from getting into the fair.cxlviii The next DSEI arms fair is in September 2019. 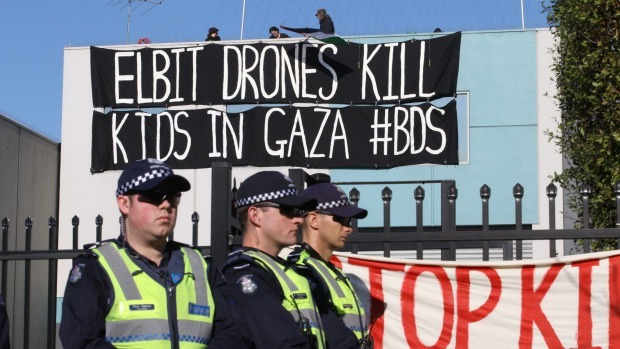 Elbit has been very cautious in prosecuting activists. In 2015, the Crown Prosecution Services dropped the case against nine protesters who had occupied the roof of the UAV engines factory the previous summer. The defendants had been arguing that their actions were justified as Elbit was complicit in war crimes. Crucially, the defendants’ lawyers had been asking for disclosure to the court of documentation of Elbit’s export licenses. Since then, there have been no criminal prosecutions of activists who have targeted Elbit’s subsidiaries in the UK, and very few arrests. Campaigners are also pressuring the EU to exclude Elbit and other Israeli arms companies from its research funding. 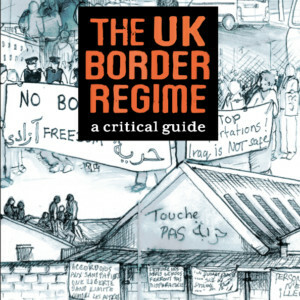 War on Want, the Palestine Solidarity Campaign and other grassroots campaigners in the UK have been involved in an EU lobbying campaign, in conjunction with grassroots activists. “The global military and security industry plays a central role in helping Israel maintain its half-century of military rule over 4.5 million Palestinians, including its devastating and illegal siege suffocating nearly two million of us here in Gaza, its ongoing, illegal theft of Palestinian land, and its apartheid policies that systematically discriminate against us indigenous people of this land. “Since March 30th alone, when we Palestinians in occupied Gaza participated in mass demonstrations to simply express our demand to be free and our right as refugees to return home, Israel has killed more than 130 of us and repeatedly bombed densely populated areas. “Israel is effectively “field-testing” weapons on us Palestinians here in Gaza before exporting them to other countries, mainly in the global south. At the same time, governments and international private military and security companies from the Global North are providing arms and technology to Israel, which Israel used to kill and repress Palestinians. 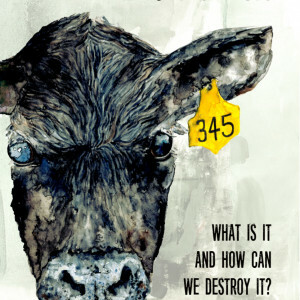 “Elbit Systems, big as it is, is particularly vulnerable to activist action. It is the only Israeli private military company of this size and hence is more vulnerable to crises, risks of financial speculation, and economic restructuring. 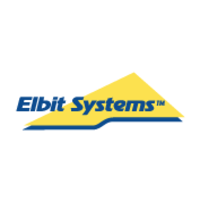 Elbit Systems is highly indebted and needs to ensure a continuous cash flow to service that debt. Its ever more global presence makes it easier for activists in different countries to take on Elbit or its subsidiaries. In addition, the growing dependence of the military industry on the Israeli state budget to rescue it also makes it vulnerable, while increasing the vulnerability of the state. The battlefields of Israel’s militarism and occupation have proved effective testing grounds for new types of weaponry. Israel’s constant state of warfare has ensured a reliable marketplace for Israeli arms manufacturers. According to Drone Wars UK, surveillance drones were first used in Egypt in the lead up to Israel’s 1973 attack. The first recorded use of an Israeli drone to help piloted warplanes bomb targets was in 1982, in the run up to the Israeli invasion and occupation of Lebanon. The Al Mezan Centre for Human Rights say the first recorded use of an armed drone by Israel was in 2004. The experience gleaned during years of military repression has made Israel the largest exporter of drone technology in the world. Israeli arms companies have sold drones to over 50 countries.